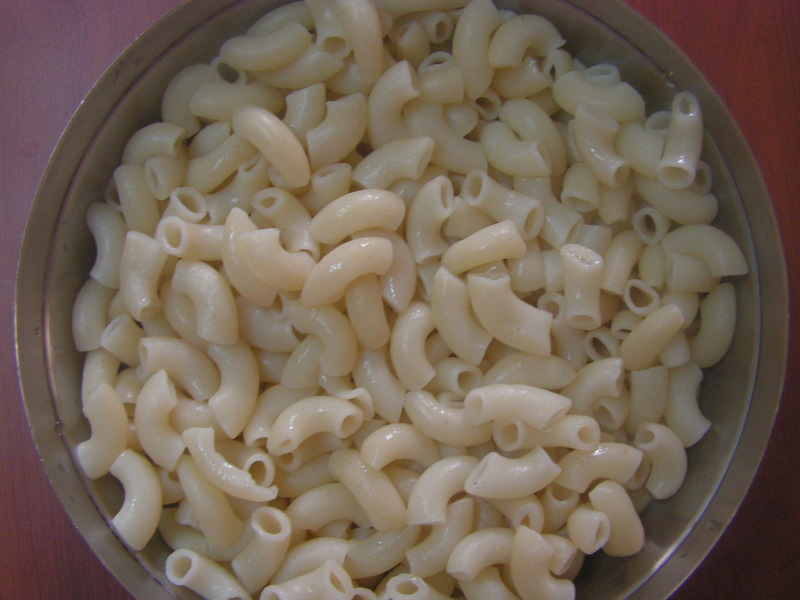 For those that might not be familiar, Macaroni is a variety of pasta made of wheat and is in the shape of small tubes. What I am using here though, which is the MTR packet, says it is made of 100% Suji. I tried at home a couple of times with a variety of veggies and masala and thought it is worth sharing. 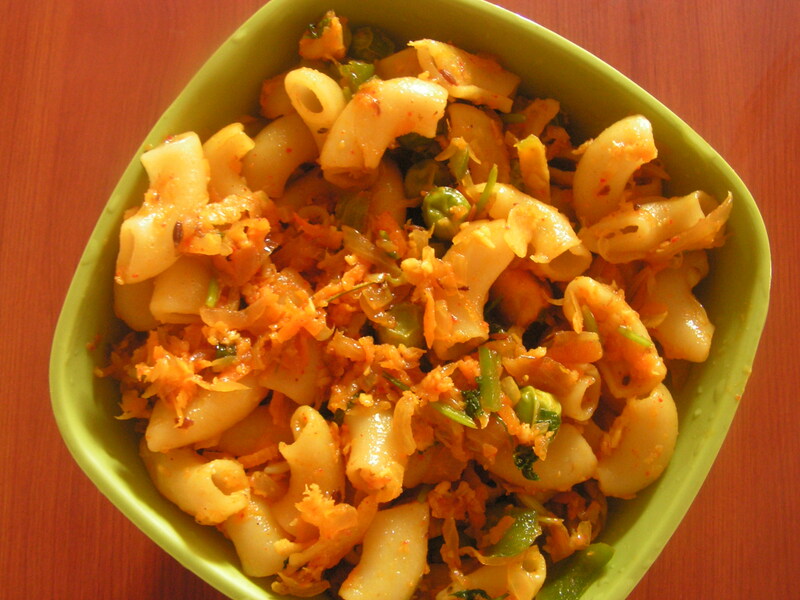 Here is Macaroni Masala, which you can think of as being similar to Masala Upma in some sense – single dry dish with vegetables and cereal amidst the spices. 1. 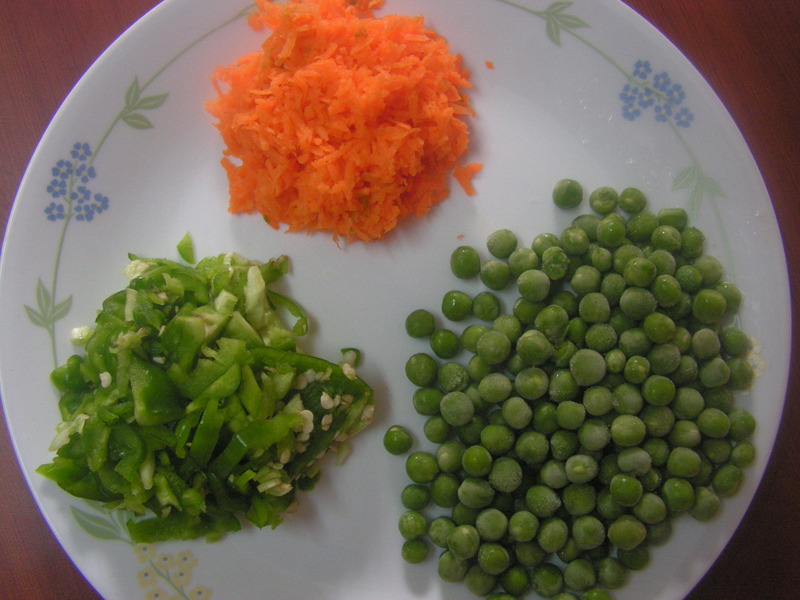 Wash, peel and grate carrots, chop capsicum and keep it aside as shown in image 2. 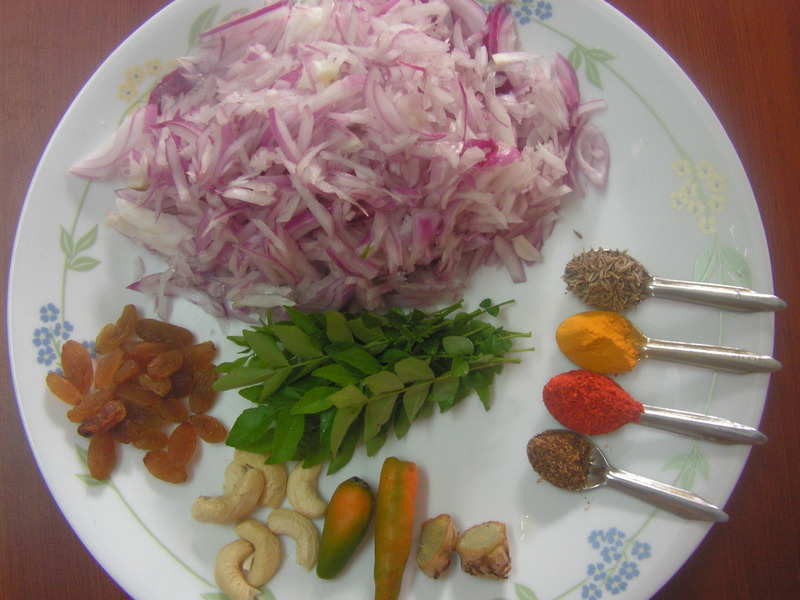 Also wash, peal and chop onions lengthwise and keep aside with other ingredients as shown in image 3. 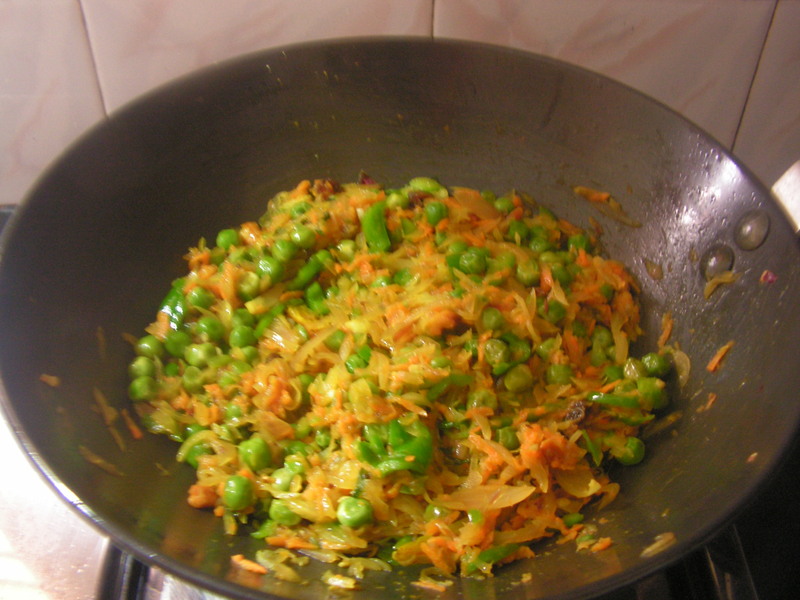 Cook green peas in cooker till done and keep it aside. 2. 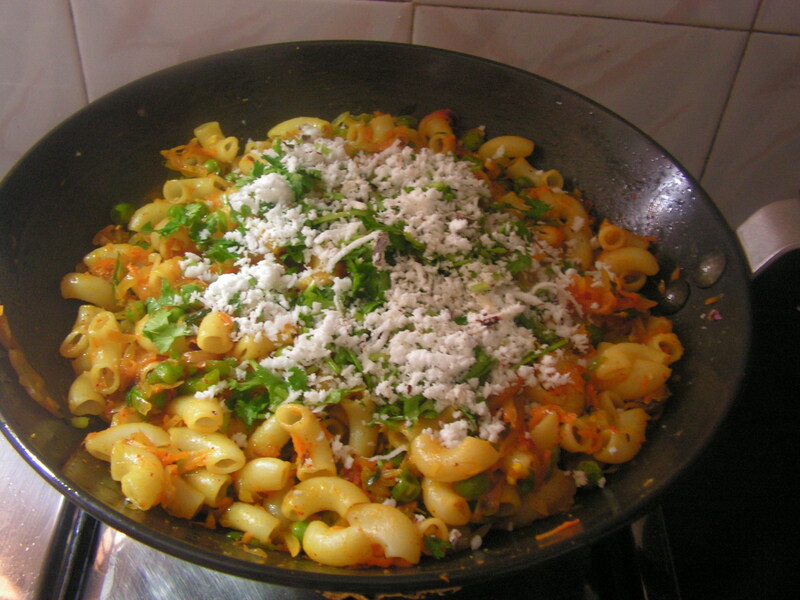 Place a wide bowl with 5-6 cups of water in it and when it is about to boil add macroni simmering the flame. 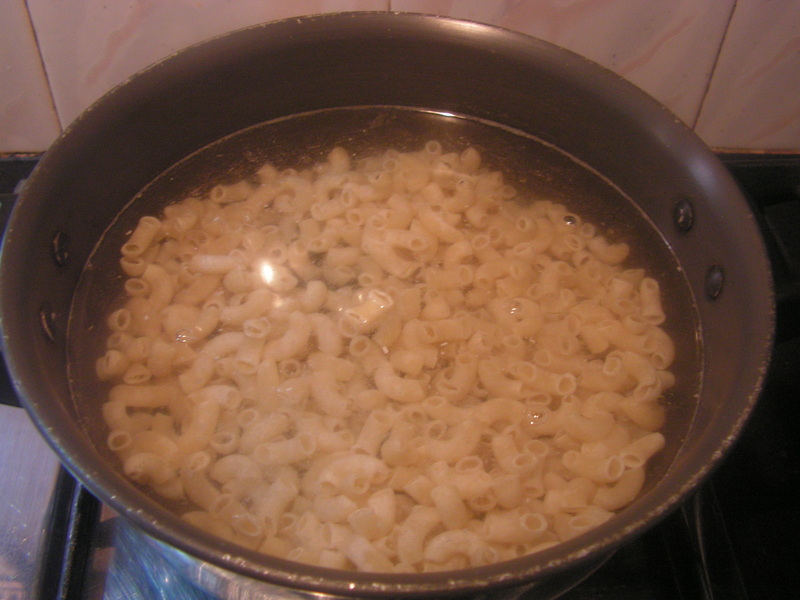 Cook till done and transfer it to a collander and run water through the tap so that it cools down and the cooked macaroni does not stick to each other. 3. Place a wide bowl with 2-3 teaspoons of cooking oil in it on medium flame. Add cumin seeds and when it splutters add raisins, cashews and fry till done. When done add chopped green chili, ginger paste and curry leaves to it. 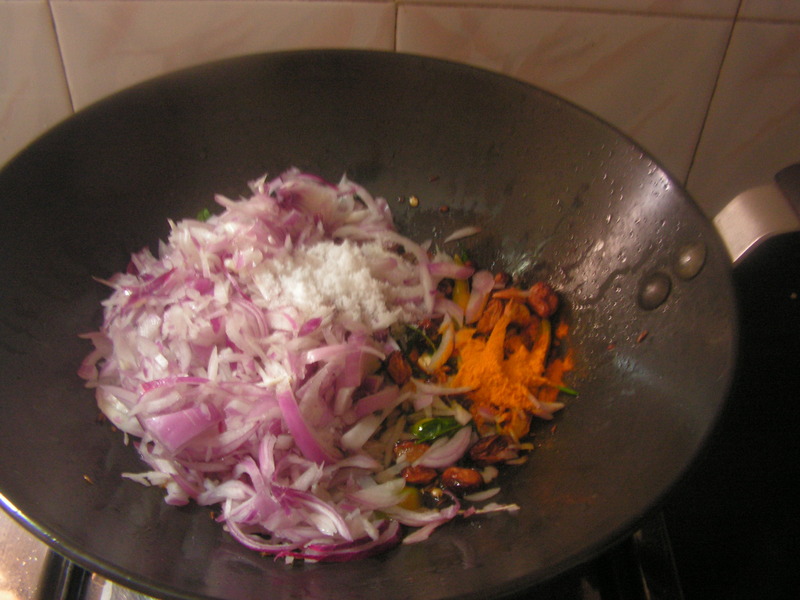 Add chopped onions, turmeric powder and add required quantity of salt to it to fry till onion turns transparent. 4. 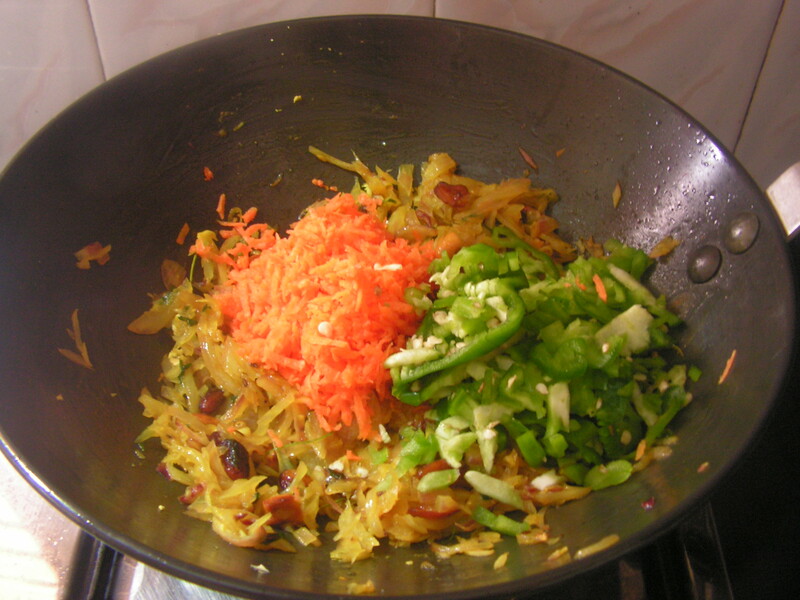 Add grated carrots, chopped capsicum from step 1 to it and cook till done. 5. Add chili powder, garam masala powder, chili powder and also cooked Macroni from step 2 to it and stir well with a wooden spatula. 6. 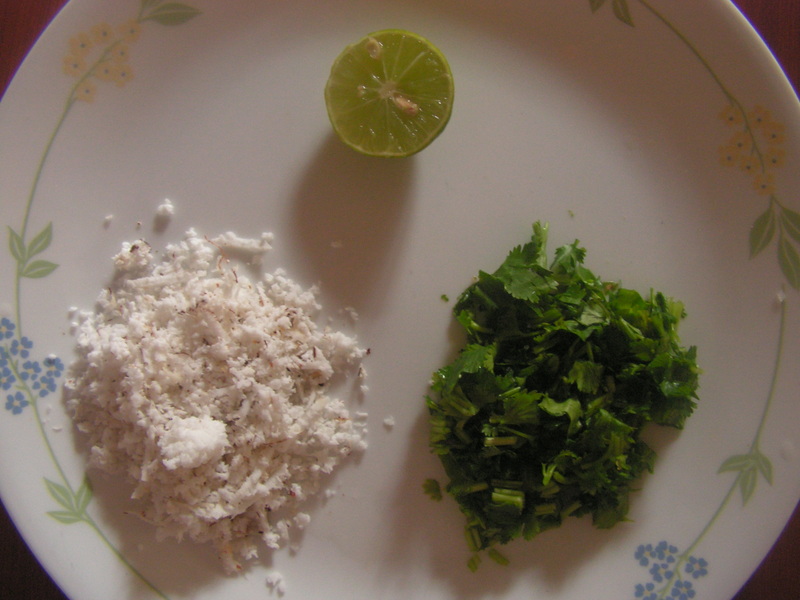 Finally garnish with coconut, cilantro and squeeze lemon juice to it and give a stir. 7. Transfer it to a serving bowl. Enjoy with a spread of Tomato sauce. 1. 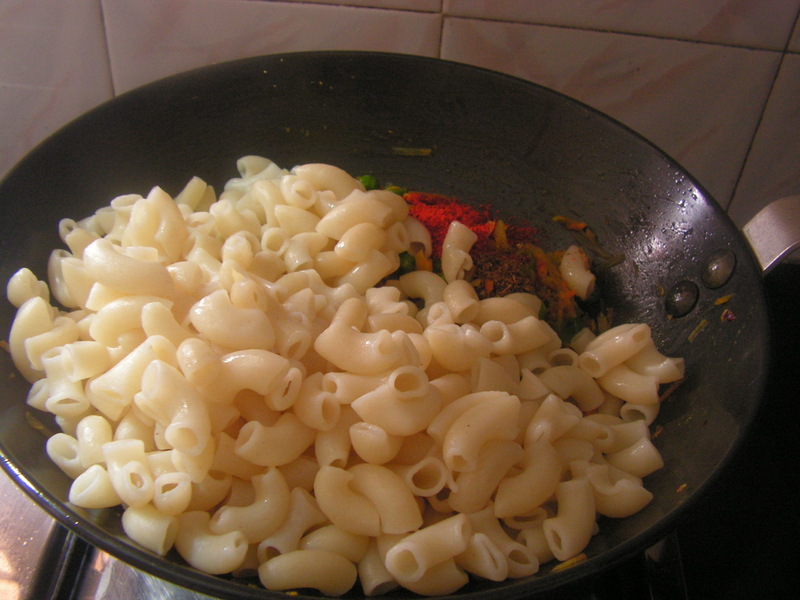 Macaroni should be properly cooked in water to get an elegant taste. 2. One can add any vegetable of his/her choice. 2. Fresh grated coconut is optional. This entry was posted in Uncategorized and tagged Tiffin. but if the material is for something truly important, it’s the wisest step to take. I don’t prefer reading a lot but when it comes to pasta I love everything about it. 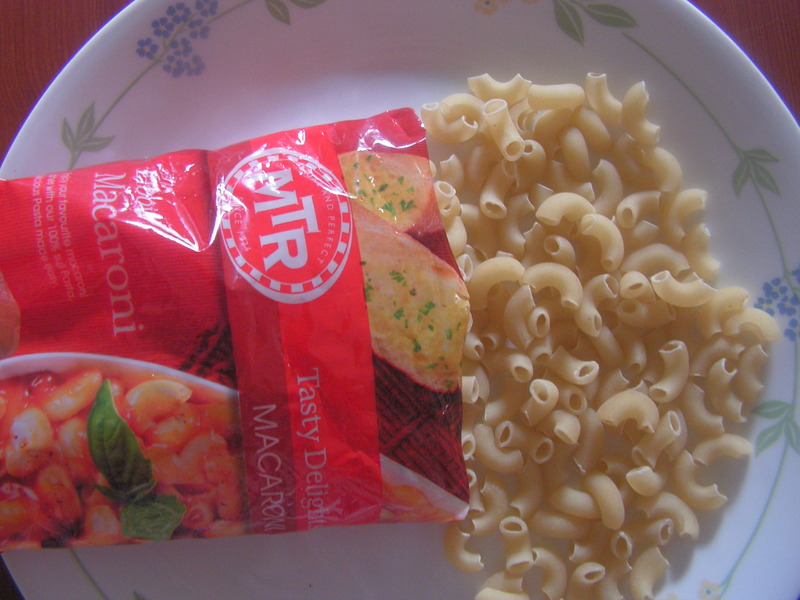 That is the sole reason I read your blog and I agree with your advice that Gustora is the best pasta brand in India.